Victoria H. Smith: The Space Between Blog Tour - Thursday Stops! Howdy folks! 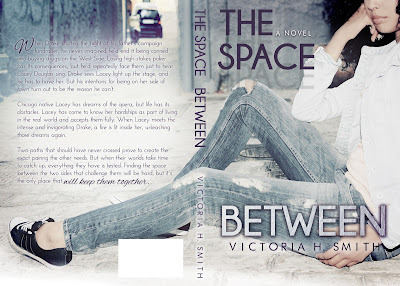 Here are the Thursday stops of The Space Between blog tour. Check out the stops below for juicy behind the scenes from The Space Between and opportunities to win swag!!! I'll try to post the new stops everyday so you have an opportunity to stay in the loop of all of them! This tour is massive! I'm just glad we're getting all of these juicy tidbits about Drake and Lacey along the way.